Jostaberries are available only during the spring ordering season. When your plant matures, it will be approximately 3 - 5' tall x 3 - 6' wide. Learn all about how to grow hybrid berry plants in The Growing Guide. An entire section of our website dedicated to your growing success. Thorn-less and sort of like a gooseberry. Should be good for eating fresh or used in jams or wine. They might mix well with my elderberries. Have two already. We love them and want more. I have had red currant bushes and I was looking to expand the flavors of my homemade pies and jams. More disease resistance and easy care appealed to me. I've done well with gooseberries. I thought I'd try this interesting hybrid! I'm slowly building up my edible landscape, and I think this plant is beautiful. I'm also very interested in tasting the berry. High in vitamins and easy to care for. Will this plant cross pollinate with black currant or gooseberry? BEST ANSWER: They are all three in the Ribes genus, but only a black and red jostaberry combination will cross-pollinate. They must be two of the same species. Do they have fruit on new or old wood? BEST ANSWER: We've only had our jostaberry for two years, but have had a gooseberry for over twenty. And since a jostaberry is a cross between a gooseberry and a couple of different kinds of black currants, the cultivation is the same. Berries grow on canes that are a year old, not new. After a few years you remove the cane as its productivity declines. We just got a few jostaberries last summer, but they were delicious. They bloom and form on old wood. The fruit grows from old wood. Looking at this and the gooseberries- would they work in a raised bed or would they do better in the ground? BEST ANSWER: Either will work. Jostaberries grow best with a soil pH between 6.0-6.5. 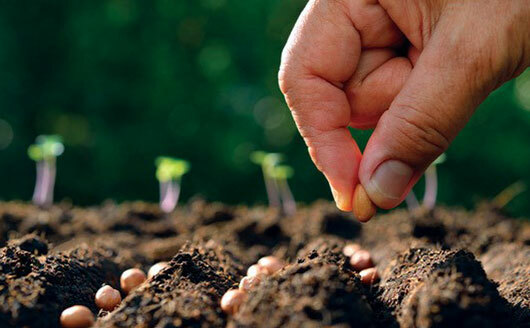 Ideal soil is fertile, loamy and well drained (but will not dry out). They like moist, but not water-logged, soil. A raised bed will require more water because it will dry out faster. Keeping the rabbits/deer from eating the leaves on the year old Jostaberry has not been a problem. I simply mix my own "repellent" of 1 dozen raw eggs to one gallon of water with a tablespoon of garlic powder in an old laundry detergent bottle. Shake like crazy and let sit in a sunny spot outside for a week to ripen. The animals do not like the smell, humans don't either. Apply again after rain. The scent has a residual to it that humans cannot smell but the animals can. No more deer eating my Jostaberry leaves. Have not had long enough for fruiting so I cannot comment yet but the bush is doing well here in southeaster Wi. I would not put the jostaberry where it gets full sun! of my 5 plants i lost 2 that were full sun while the 2 that have only sunlight for 3/4 hours are doing great. they all had water. The other was in full shade - doing great but died from fire blight. This Jostaberry is rated for zone 7 (we are in 7B), but it didn't survive the summer once the temperature got into the 90's, even though we planted it in part-shade. The Jostaberry survived a very harsh winter and soaking spring here in Maryland. It leafed out well and is going strong. Received my Stark Bro's package today, and was quite excited about the Jostaberry. What a beautiful root stock ( large, happy, and healthy)! I have currants and gooseberries, and I can't wait for Jostberries! I highly recommend this plant. Outstanding for $11.99! THANK YOU! Our Jostaberries have thrived. They arrived as healthy plants and have taken off in their second year. They are full of berries now, and I look forward to harvesting them in the summer. 1 year old bush is about 24" tall, no signs of bloom yet, probably next year or 2 before I get any fruit. However, it was healthy looking from the start. Not cheap. This is our second year with the jostaberry plants and they're really beginning to grow quite well. We had to fence them in due to deer pressure . Hopefully this year we'll get some fruit. It appears that you need full son for this plant. Died out in a first year. I had better luck with their other plants though.